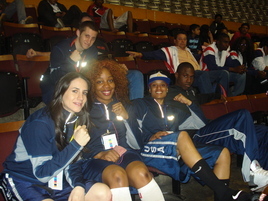 Team USA Women’s Boxing – Second Pan American Games Qualifying Tournament! 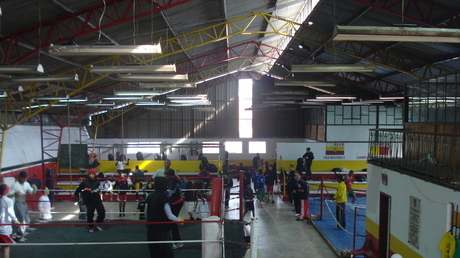 Team USA Women’s Boxing is in Quito, Ecuador for the second Pan American Games qualifying tournament! 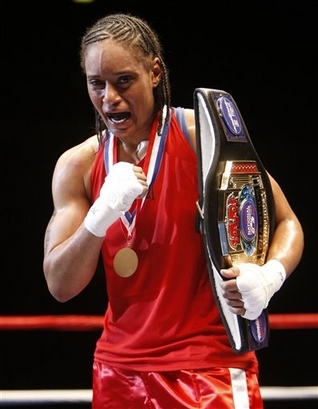 On Monday night (5/2), middleweight fighter, Franchon Crews from Baltimore came up with the first Team USA win (male or female) when she triumphed over Kimberely Gittens of Barbados with a decisive 22-0 win. Tuesday night’s women’s bouts proved a bit tougher. Crews was able to hold on to her winning streaking edging out Ecuadorian fighter Blanca Burgos (Venezuela) 9-8. New York’s own Golden Gloves champion Christina Cruz, however, had a tougher night, losing her bout to Jemyma Betrian (Venezuela) 6-17. Today fights will include non-stop action in the lightweight division when Seattle’s own Queen Underwood battles Maria Ulpino of Venezuela and Jennifer Caceres (Columbia) takes on Sandra Bizier (Canada). USA Boxing has a link to the story here. Did they won the competition? oh well, it so nice to hear female boxers today. This is really something to be proud of that girls can do male acts. Good luck boxers and bring home the bacon. Enjoy! « Great Women’s Champion! Chevelle Hallback!